Astonishingly, many federal agencies — not just Department of Interior — have for years chosen to ignore the Congressional Review Act requirements when imposing rules on the states, industry, local governments, and the public. For decades, federal management agencies have run rampant over the rights of states, localities and individuals. Noncompliance with existing law, and the accompanying lack of accountability have made this possible. Although the Congressional Review Act, which requires congressional approval of rules formulated by various federal agencies was passed in 1962, U.S. Fish & Wildlife, among others, has sidestepped the law. Now, a major property rights advocacy organization, Kansas Natural Resources Coalition (KNRC), in concert with Pacific Legal Foundation, has filed a lawsuit to force the government to comply with its own laws. Today, the Kansas Natural Resource Coalition (KNRC) filed a lawsuit in the United States Federal District Court for the District of Kansas to require agency compliance with the Congressional Review Act of 1962. At issue is the failure of the United States Fish and Wildlife Service (USFWS) to submit its Policy for Evaluation of Conservation Efforts When Making Listing Decisions (PECE) Rule to the Congress for approval as required by federal statute. Developed in 2003, the USFWS PECE Rule provides a positive framework for species conservation under the Endangered Species Act (ESA). The PECE specifically encourages states, counties, industry, and property owners to voluntarily collaborate in conservation initiatives, potentially reducing or eliminating altogether the need for federal intervention or listing of species under the ESA. Despite a clear statutory mandate that agencies submit every new rule for review, Congress was not given the opportunity to evaluate the PECE, potentially subjecting legitimate, effective, and expensive conservation programs to litigatory mischief by environmental groups and non-governmental organizations . The Congressional Review Act was enacted to address the longstanding problem of federal agencies granting themselves regulatory powers beyond those delegated by Congress. Astonishingly, many federal agencies — not just Department of Interior — have for years chosen to ignore the Congressional Review Act requirements when imposing rules on the states, industry, local governments, and the public. The problem is so prolific, that between 2001 and 2009, the Congressional Research Service reports that federal agencies failed to submit more than 1,000 substantive rules to the Congress for consideration. In this litigation, the Pacific Legal Foundation and KRNC have partnered in requesting federal courts to require USFWS to submit the PECE rule for congressional approval. A favorable ruling will provide predictability for local conservation efforts, and greater certainty for federal administrative processes. KRNC also hopes this case will set a positive precedent, realigning authority away from the executive and back to the Congress. This case furthers KNRCs position on delegation to agencies. The Kansas Natural Resource Coalition (KNRC) is an association of counties who maintain collective and participatory involvement in administrative government on behalf of its citizenry. The Coalition serves as a conduit between local, state and federal governments to promote balanced, necessary and effective administrative policy making through the mechanism of government-to-government coordination. Our mission is to monitor, analyze, understand, communicate, and participate in those initiatives that materially affect the natural or human systems governed by individual member counties. Accountability is sorely lacking in the administrative state. Unelected, unaccountable bureaucrats make decisions significantly affecting our daily lives with too little involvement from our elected officials. The Congressional Review Act was intended to restore at least some degree of democratic accountability to the administrative process. It requires agencies to submit to Congress every rule they wish to impose on you, giving the people you elected an opportunity to oversee what federal bureaucrats are up to. One of our CRA cases highlights the illegal implementation of an unsubmitted rule that Congress likely would disapprove if given the chance. The Forest Service and Bureau of Land Management has adopted heavy-handed land use plans covering tens of millions of acres of federal lands throughout the west, ostensibly to protect the greater sage grouse. 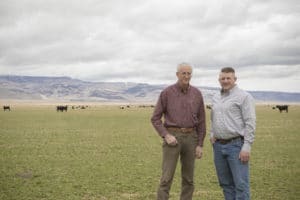 This controversial rule threatens the grazing rights of our client Tugaw Ranch and the livelihoods of the three brothers whose family has worked this land for decades. The Sage Grouse Rule has been an endless source of conflict since it was adopted in 2015, generating several lawsuits, congressional hearings, and an ongoing effort in the Department of Interior to reform it. But our lawsuit highlights a bigger problem with the rule—the agencies withheld this huge, burdensome, and unpopular rule from Congress. The Sage Grouse Rule is precisely the sort of rule that Congress wished to subject to democratic scrutiny and might disapprove if given the opportunity to review it. The Sage Grouse Rule must be submitted to Congress as required by the Congressional Review Act. Our other case presents the exact opposite problem: the consequences when an agency fails to submit a good rule, subjecting it to an unnecessary cloud of uncertainty. The Policy for the Evaluation of Conservation Efforts When Making Listing Decisions (PECE Rule) is a critically important and popular rule encouraging state and private conservation efforts, by allowing them to avoid the crippling regulations that could result from an Endangered Species Act listing. This is a huge incentive for collaborative conservation efforts. 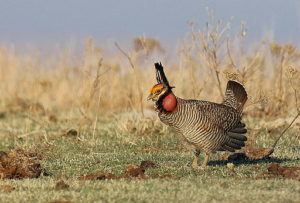 Our client, the Kansas Natural Resource Coalition, is an organization of county governments in western Kansas that has developed a conservation plan to protect the lesser prairie chicken. That plan relies on the PECE Rule to help incentivize property owners to participate. However, the Service never submitted the rule to Congress under the CRA. Congress would not likely disapprove of this beneficial rule if it was submitted—nor should it!—but the CRA nonetheless makes clear that the agency’s failure to submit this good rule means it cannot be lawfully in effect. This puts KNRC’s conservation efforts into an impossible bind: they must prove to the Service that their plan is certain to be implemented and effective but the Service’s own failure to submit the rule undermines the incentives necessary to achieve that certainty. These cases are about more than just these two rules. We’re suing to vindicate the important values of accountability and the rule of law that Congress advanced through the enactment of the CRA. When we win, we’ll open the doors for others to challenge violations of the CRA, which could finally lead to the end of this illegal practice. All this litigation could be avoided, of course, if the President ordered agencies to review their past compliance with the CRA and begin sending up rules that were wrongfully withheld from Congress. The Congressional Review Act is unequivocal. Agencies must submit every rule to Congress for review. It is similarly clear about the consequences for agencies that fail to do so—their unsubmitted rules cannot go into effect. When agencies violate this command, they do great harm to the people subject to their rules, whether the agency is enforcing a bad rule that Congress would likely disapprove or undermining the benefits of a good rule that Congress would applaud, if submitted. Especially view slides# 2, 6, 8, and slide# 13, the UNEP demand pages. The report totals 1100 pages. While noting, Christianity is one of the items noted in the pages. This to allow the inculcation of the “GAIA” pagan religion. This offshoot of” MAIA” designed by Gorbachov & Stephen Rockefeller.